A precious gray puss curls up for a long winter's nap, with visions of catnip dancing in his head! 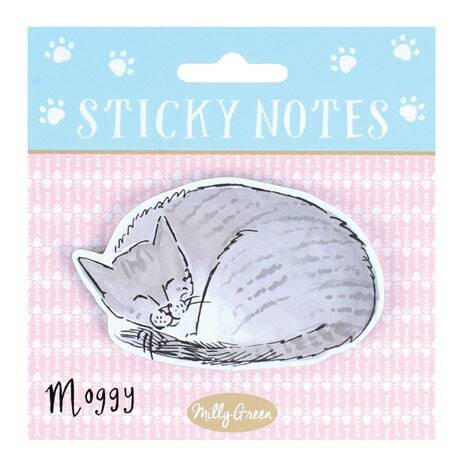 Our cute Curious Cat Sticky Notes are just the thing to jot down messages and reminders ("Buy cat food! "), flag recipes in cookbooks and magazines, or perk up an office memo. Set of two pads, each with forty 3¼"x2" sticky notes.